Japan has long been known for its foods. There are many different Japanese recipes and dishes, which not only can taste great, but often beautifully presented. Sashimi - Very fresh raw seafood cut into thing slices. Many Westerners wrongly call this dish "sushi"
Sushi - Vinegared rice topped with fish, meat, roe, cooked egg, or vegetables. 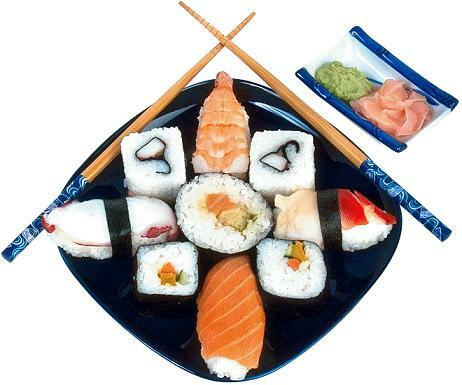 Many Westerners confuse "sushi" with &sashimi" - in fact, sashimi is simply one possible topping for sushi. Agedashi dofu - A hot broth containing tofu cubes. Champon - Chicken broth with medium yellow noodles. Ramen - Thin noodles in pork or chicken broth. Miso - A Japanese recipe for soup, made primarily from miso paste (fermented rice, barley or soy), and often containing tofu, green onions, seaweed, or even shrimp. 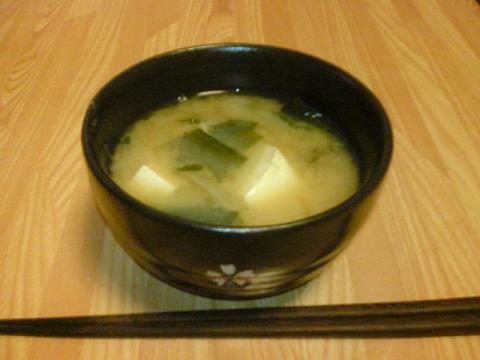 Miso soup is served with many meals in Japan, including breakfast! Yaki soba - Fried Chinese noodles. Yaki udon - Fried udon noodles. Zaru soba - Soba (buckwheat) noodles served cold. Shabu-shabu - A hot pot dish made by cooking beef, tofu and vegetables in stock. The dish is prepared at the dinner table, and to eat, pieces of food are removed and then deep in sauce before being consumed. Sukiyaki - Like shabu-shabu, this dish is prepared in a hot pot at the table. The ingredients in the dish include very thinly sliced beef and vegetables. Instead of sauce, portions of food are dipped by dinners into raw egg before being eaten. Kakuni - Pork belly cut into cubes and stewed in a sauce. Nikujaga - Beef and potato stew. Chawan mushi - An egg custard containing chicken, meat or seafood, with vegetables. Teriyaki - Chicken, meat, seafood, or vegetables glazed with sweetened soy sauce, then grilled, or pan-fried. Yakitori - Chicken on a skewer cooked on a barbecue grill. Kushikatsu - Meat, seafood or vegetables bread and deep-fried on a skewer. Tempura - Battered shrimp (Tempura Shrimp), seafood or vegetables. A special light batter is used when preparing the dish. tempura can be eaten over donburi (steamed rice), with soba (buckwheat) noodles, on top of udon (noodle soup), or on its own with a dipping sauce. 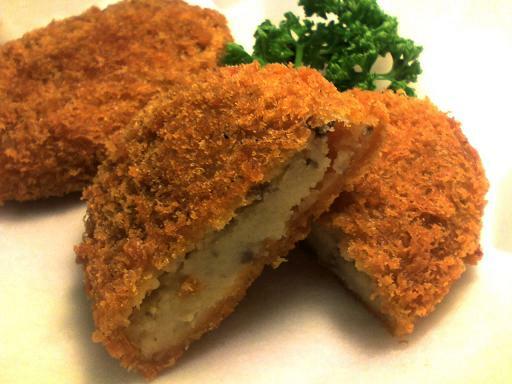 Korokke - Breaded croquettes containing mashed potato or white wine sauce. Inside eaten croqueete is ground meat, seafood or vegetables. Takoyaki - A battered dumpling containing octopus meat (or a whole baby octopus). Tonkatsu - Deep-fried pork cutlet. Chickendon - Steamed rice topped with a deep-fried breaded chicken cutlet. Gyudon - Steamed rice topped with seasoned beef. Oyakodon - Steamed rice topped chicken and egg or occassionally salmon and salmon roe. These two very different dishes share the same name, because the dish's name literally means "parent and child". Tonkatsudon - Steamed rice topped with a deep-fried breaded pork cutlet. Tekkadon - Steamed rice topped with sashimi (thin slices of raw seafood). Tendon - Steamed rice topped with tempura (battered shrimp, seafood, and/or vegetables). Unadon - Steamed rice topped with eel. Hayashi rice - Rice topped with beef stew. Omurice - An omelette filled with chicken fried rice (although sometimes the chicken may be omitted), and flavored with beef stock. is used, and sometimes the dish is flavored with beef stock. Mochi - A glutinous rice cake. Kayu - A rice congee (porridge).